Why haven't I been before? With everyone singing their praises it did make me think why we'd never done this before. 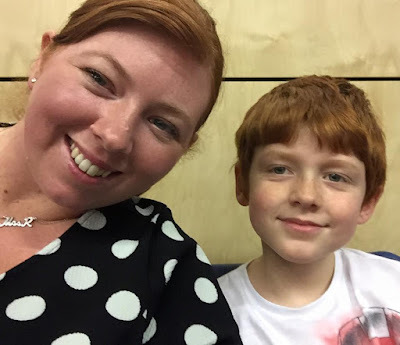 I think our main barriers were the fact that Jack was 4 (although he's just turned 5) and it was a late night in the centre of town and he his liable to play up when he's bored so I was a bit scared to take him. Plus the cost (it's £40 for a family ticket) was something I considered and wondered whether it would be good value for money. However after enjoying a fantastic Friday night with the family, I can say that these reservations were definitely unfounded. Where do Newcastle Eagles play their home games? 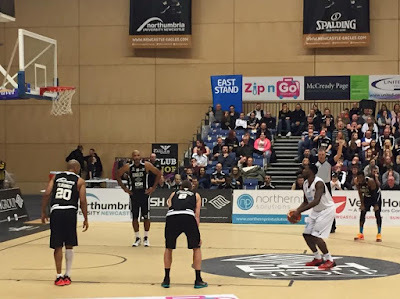 Newcastle Eagles play their home games at Northumbria University Sports Central. If you just pop their postcode into your sat nav or follow the signs for Northumbria University Sports Central (city centre campus) you won't go wrong. There was plentiful free parking in the campus car parks and it is just a short walk from Newcastle Haymarket bus station or Metro if you'd prefer to use public transport. Friday night home games tend to start at 7:30pm with doors opening at 6:30pm. Some games are a sell out so it is definitely recommended that you pre-book tickets here. Newcastle Eagles - simply the best! 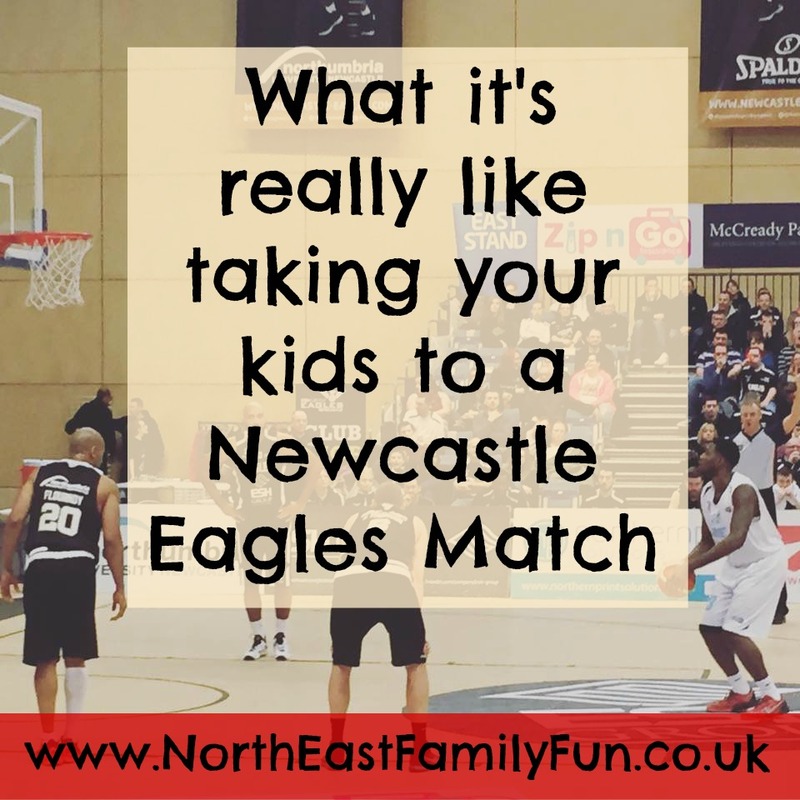 Now I don't know anything about basketball (well I didn't until last week) and I was delighted to see that Newcastle Eagles sit comfortably at the top of the BBL championship where they have been unbeaten in all 18 games so far! Wow! This is an achievement our city can definitely be proud of and it is lovely going along to a game to show your support. The players are fantastic role models for children in our region - they spend half of their week in the community visiting schools and providing workshops to encourage health and fitness. Chances are, they have probably visited your child's school at some point. 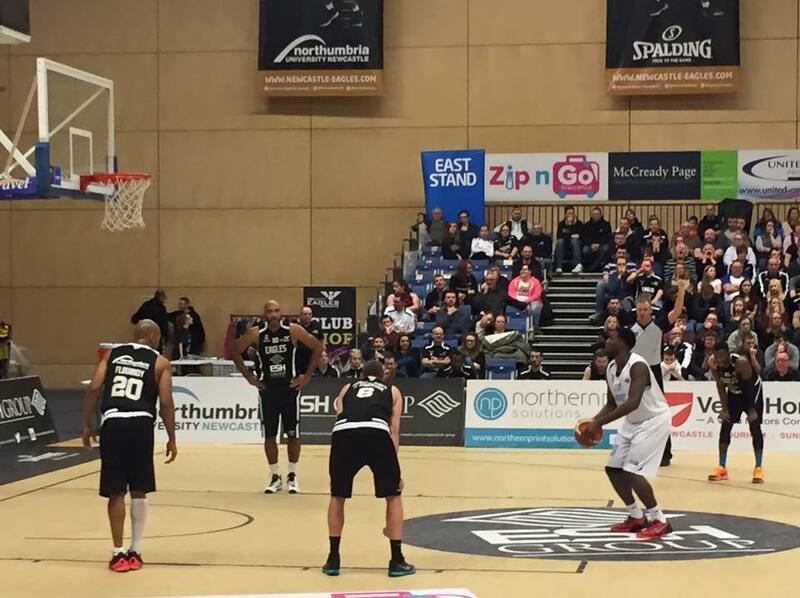 Harry immediately spotted the player on court who had visited his school last year. There were lots of young fans in the crowd who you could see really looked up to the players - pointing when they were on court and cheering their name. It was lovely to see. All of the players stick around at the end of the game to sign autographs and pose for photographs too which is a very nice gesture. 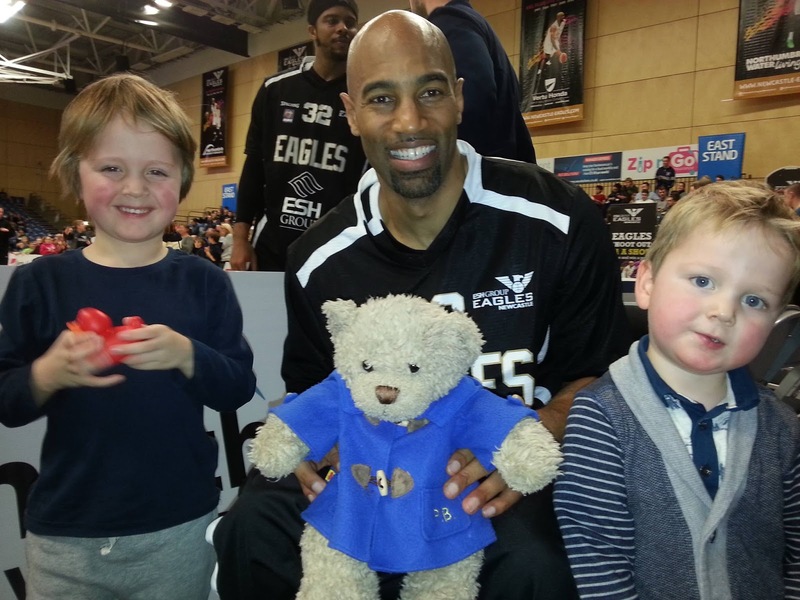 Thanks Angela from Monkey Mayhem Softplay hire for sharing this pic of her family with Fab Flourney after the game. There were lots of kids there and the game is super fast paced - with four quarters of 10 minutes each. There are mini intervals, time outs, a 15 minute interval at half time and lots of times where the timer is stopped (sorry this isn't technical - see here for the basic rules) meaning in total you are there for around 1.5 hours. The crowd are fantastic and there are obviously lots of regulars. You can drink alcohol but people weren't going OTT at all. There was no swearing too which was refreshing for a sports game! There is a guy with a drum who gets the crowd chanting, people blowing horns, a commentator who gets the crowd cheering and stamping their feet, visual graphics on the score board encouraging you to cheer, music, kids with foam fingers.......I could go on! It's honestly fantastic and just as good as people had said it was going to be. Whenever there is a slight pause in play, Metro Radio's Dan Black is on hand to oversee the entertainment and jumps onto the court with lots of mini games and shoot outs that the crowd could get involved with. 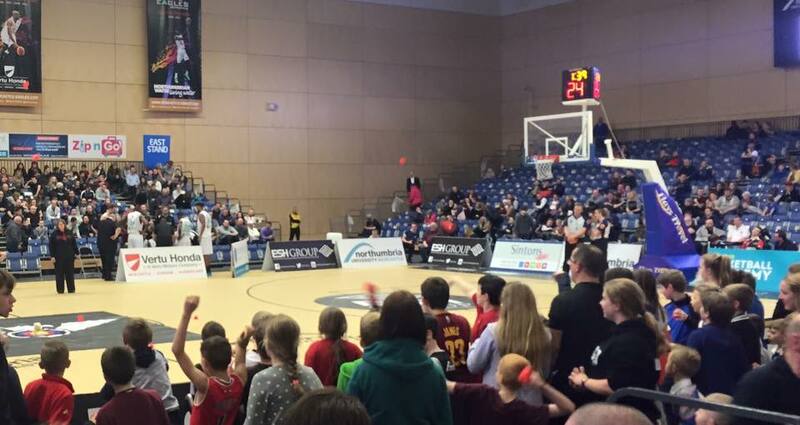 There was one particular game that everyone went mad for where you could buy a rubber duck for £1 and 'chuck a duck' onto the court to win some prizes. 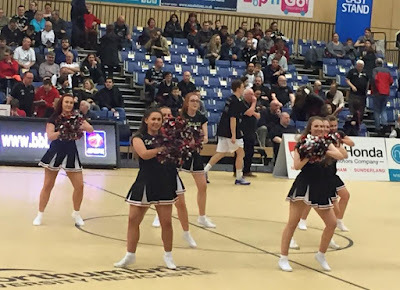 Of course there was a squad of cheerleaders to wow us with their many routines throughout the night too which we all enjoyed. Two local schools are invited a long to play their own match on court at half time and it was by coincidence that our children's school were playing on the night we were there. 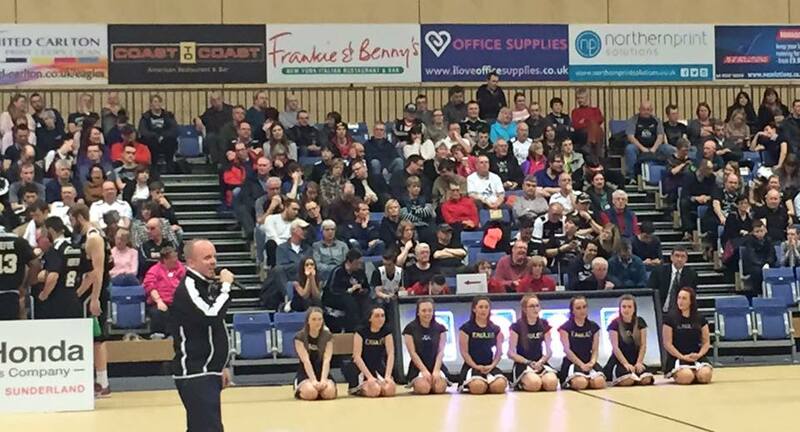 The crowd cheered both teams on and you could see that both schools were loving the limelight. In the end, our school won (yeah!!!) in a penalty shoot out and were presented with their very own trophy on court before the main game resumed. Back to the action though. The Sport's Hall seats 3000 people and you can get really close to the action. We were 4 rows back from the court and felt really close to the action. The game is very fast paced with the ball constantly going from one side of the court to the other and whenever the opponents had the ball the crowd but break into a chant of 'de-fence' *clap, clap, clap* 'de-fence' *clap, clap, clap* which the kids (and us grown ups) loved joining in with. What we especially found amusing was that every time the scorchers were awarded a penalty, the crowd were encouraged to try and distract them by shouting, making noise and waving their hands behind the net! HAHA all good fun!! Harry (aged 9) absolutely loved his night and was really getting into it. Fist pumping when the Eagles scored and tutting in disappointment when the Scorchers did. It was refreshing to see him take so much interest in something that wasn't Minecraft, Star Wars or Avengers for a change. Myself and Steve had a fantastic evening and I can see us going back for date night (and would recommend a match for couples looking to do something different in the city). I loved the atmosphere and watching the fantastic skills and energy of the players was inspiring. Heidi (6) and Jack (5) did enjoy it too and loved joining in with the chants and countdowns but they were getting a little restless towards the end and tired. It had been their first week back at school after Christmas so this was partly to blame. I would most definitely book tickets for us again though. Tickets are £40 for a family of 4 which is en-par with a Friday night trip to the cinema so for us, the cost is most definitely worth it. 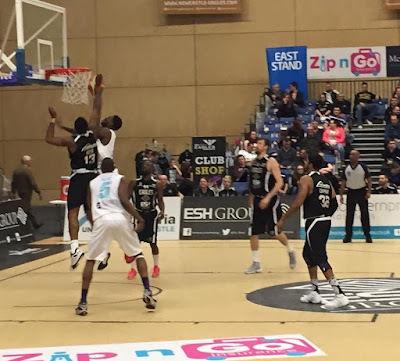 You can follow Newcastle Eagles on facebook here and find out more via their website below. Thanks for inviting us along, we will be back! I forgot to say! 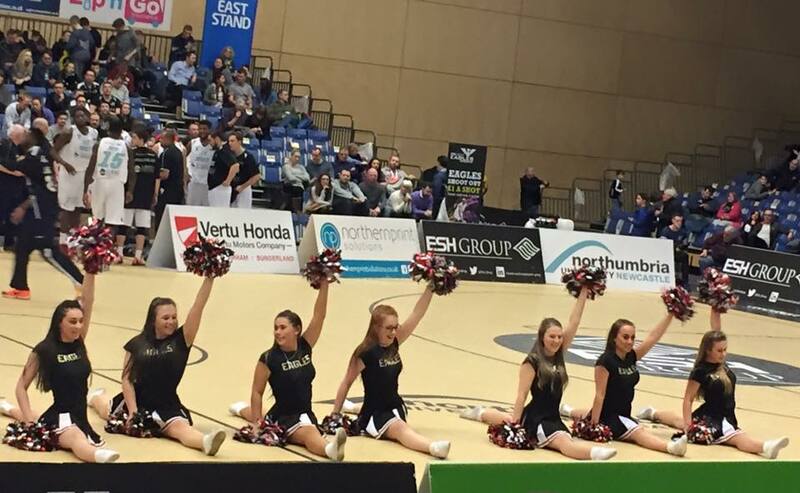 Newcastle won 99-66. Yeah! I went to an Eagles game last year and loved it. Preffered it to football where you have to sit in the cold, put up with rowdy fans and often watch Newcastle lose! 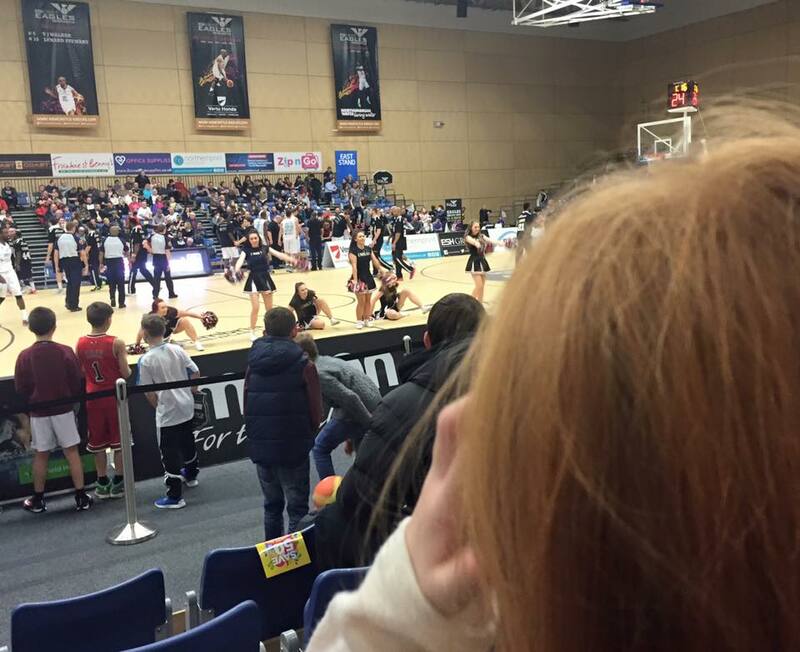 I love basketball it's such fun I'm pleased you enjoyed it! I've never been, I bet the girls would love it though, you've made it look like the most fun thing ever! I was an Eagles season ticket holder before my son was born and now (age 7) he loves going as much as me. It's a great family-friendly night out, and it's great to be able to see a North East sport team that's hugely successful (and deserves a lot more attention). 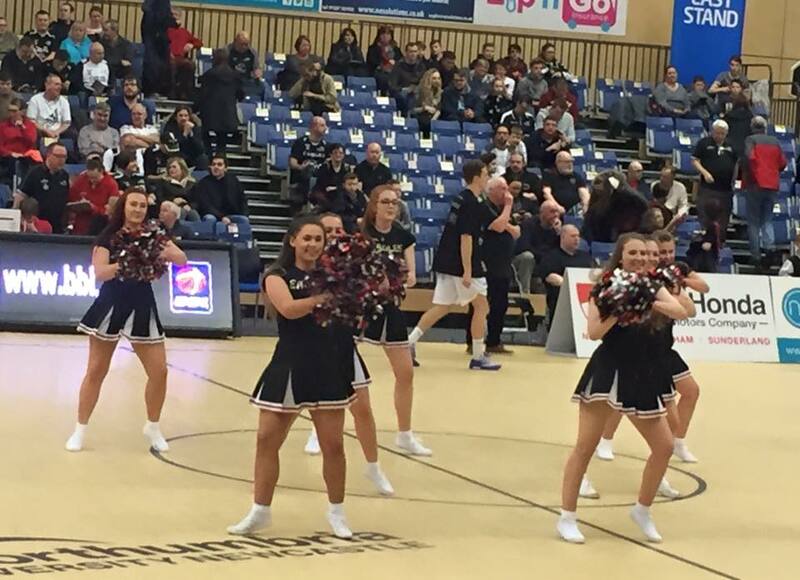 A couple of tips - you can watch the Eagles compete in the BBL Cup Final this coming Sunday afternoon (17th Jan) for free on skysports.com wherever you are in the world. Also, you can always find deals on Eagles tickets - there are usually vouchers in local McDonalds restaurants, or you can print them from the Eagles' Twitter or Facebook pages, or their email mailing list.